Ep.11: "The Finish Line Is In Sight"
Ep. 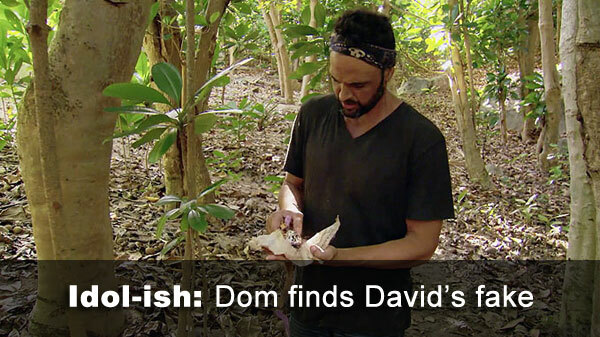 11 fake idol: Domenick finds David Wright's fake idol, pockets it. Ep. 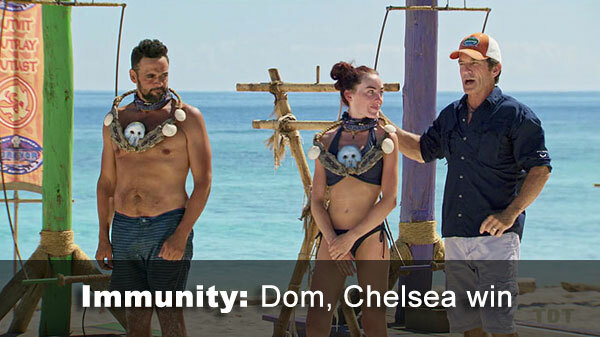 11 Immunity challenge: "Crocodile Rock" - Two temporary tribes; Chelsea, Domenick each win a necklace. Ep. 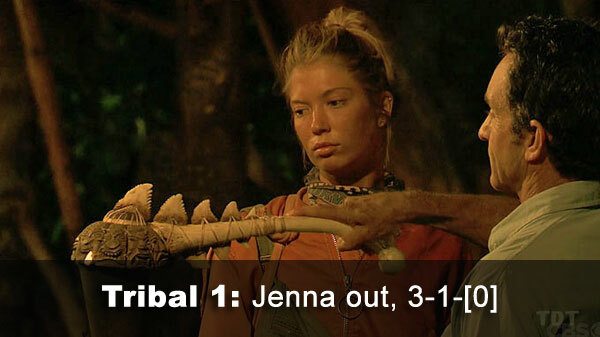 11 voted out, Tribal 1: Jenna, 3-1- over Sebastian and Donathan, who played his idol, voiding the vote against him. Ep. 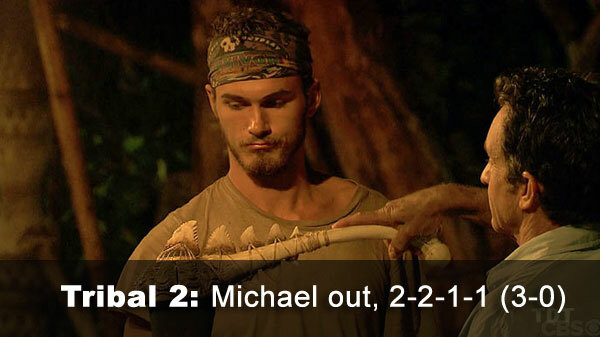 11 voted out, Tribal 2: Michael, 2-2-1-1 (3-0 on revote) over Laurel, Wendell, and Kellyn, respectively. Kellyn used her extra vote to cast a second vote for Laurel. - Temporary teams & the IC: Since there was additional quasi-benefit attached to being the last person standing overall, should the challenge be scored as two separate, five-person individual ICs, or one 10-person IC? We settled on two separate ICs, because Chelsea did win immunity, even though she finished third overall. Either way, we listed both Plc-Tot (overall placement) and Plc-Ch (placement within the relevant 5-person challenge) for posterity. But only Plc-Ch counts for MPF. We also color-coded and grouped the contestants by team, to make it easier to remember who was competing against/ voting with whom. - Kellyn's extra vote: As usual, in using the extra vote, Kellyn is charged with 2 TCAs (and 0 VFBs, since Laurel was not voted out). Six total votes seen for everyone at that Tribal. - Jenna received 3 votes, from Angela, Chelsea, and Sebastian (voted out, 3-1-). - Sebastian received 1 vote, from Donathan. - Michael received 2 votes, from Domenick and Wendell (voted out, 2-2-1-1; and 3-0 on the re-vote). - Laurel received 2 votes, both from Kellyn - thanks to Kellyn's extra vote. - Kellyn received 1 vote, from Laurel.